Your child is bound to love being part of PT Marmots. 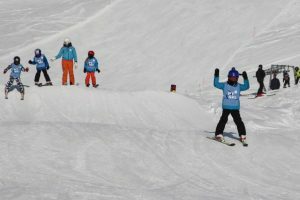 Marmots will develop their skiing in a fun filled environment under the tutelage of our handpicked team of local English speaking ski instructors. Our dedicated reps will support the instructors on a pastoral basis and help supervise lunches and co-ordinate activities. This is designed for children who have skied before and can already snowplough. Complete beginners and those who are struggling to get started will be well suited to our ‘Pandas’ group. Click here to see a video which features plenty of our Marmots! 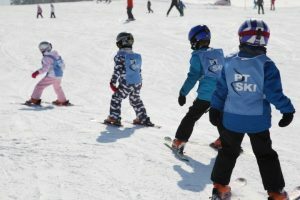 The hours are 9am to 4pm for 5 days while there is a day off in the middle of the week for families to ski together (at New Year the course will run for 5 consecutive days). 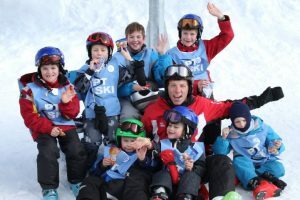 On one night of the week we will arrange an après-ski activity such as a DVD so all the children can meet up with their friends in the evening… and you can enjoy some quality time during happy hour!